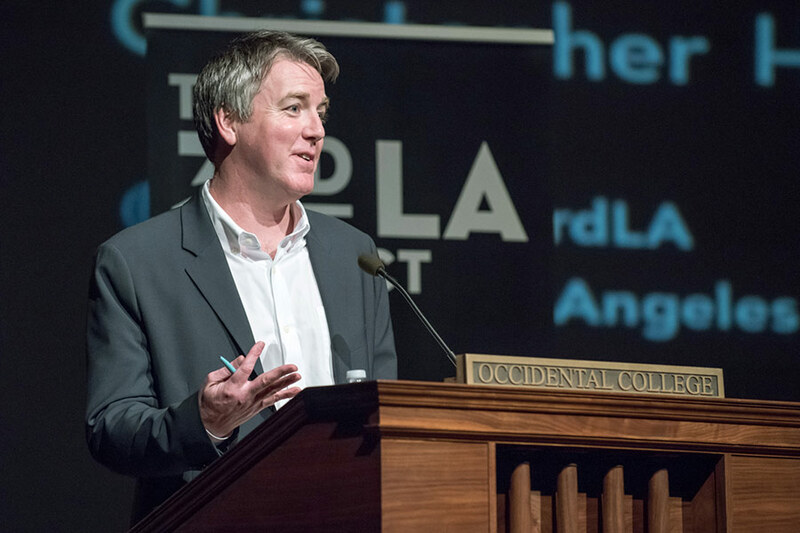 Los Angeles Times architecture critic Christopher Hawthorne has been named chief officer of design for the City of Los Angeles. News of Hawthorne’s change in job title comes as the region and the city grapple with an ever-increasing housing affordability crisis, a worsening homelessness epidemic, and as the city repairs to host the 2028 Olympic games. Hawthorne will have his work cut out for him, as there is no shortage of major infrastructural projects—or public funding—that could be made better from being inspected by someone with a discerning eye for design. Among other projects, the city is continuing to build out its nascent mass transit system, planning for high-speed rail, working on new zoning guidelines, and is aiming to fulfill its so far unreachable goal of eliminating pedestrian traffic deaths via its Vision Zero plan. In his new role, Hawthorne will focus on assisting other City of Los Angeles officials like Deborah Weintraub at the Bureau of Engineering and Seleta Reynolds at the Department of Transportation in their efforts to imbue progressive design qualities in the new civic and infrastructural works being built across the city. The role comes as a natural progression for Hawthorne, who has spent years working on understanding and communicating the changes Los Angeles is undergoing as it matures into the 21st century. Though it might seem strange to have a journalist and critic ascend to City Hall from the newsroom, Hawthorne would not be the first to make such a move. In the early 2000s, Chicago Sun-Times design critic Lee Bey made a similar move, jumping ship from the newspaper to become deputy chief of staff for urban design under Chicago mayor William M. Daley. Hawthorne, a Berkeley, California native, earned a bachelor’s degree from Yale. Prior to his work with the Los Angeles times Hawthorne was architecture critic for Slate. Hawthorne is expected to join the Garcetti administration next month.